-staff meeting notes by Bheki compiled by S. Mahabeer. When life throws us curveballs, our reaction might be to throw our hands up and surrender to failure. But this is the problem – too many of us give up too easily or too quickly. We give up on something great that we could have achieved, hadn’t we quit, but persevered. So, when challenges arise, let’s never give up, but let’s set our face like flint, let’s be relentless in our pursuit of our goals, let’s be persistent, let’s do those mundane but necessary things we have to do, even when we don’t feel like doing so, and let’s not yield to defeat. Be resilient – when life throws you a punch and knocks you down, get back up. Be tenacious – cling to your faith, hold on firm to hope. Be determined – keep your eyes on the goal. Be resolute – stand firm on your convictions, hold to your beliefs. 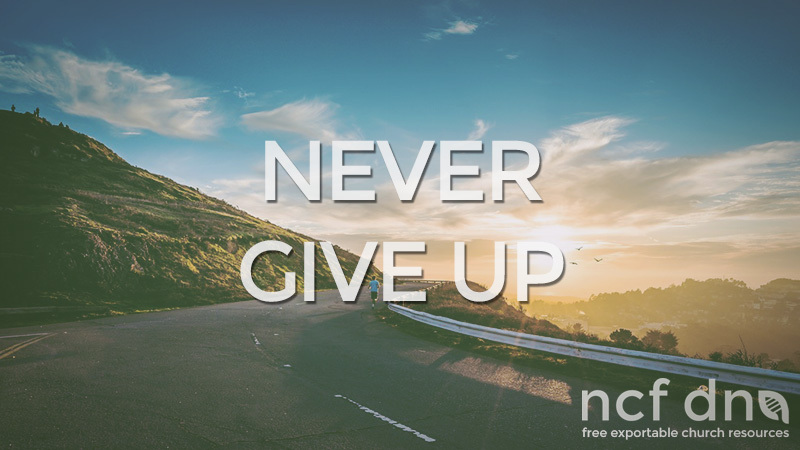 Have a resolve – make a decision to not give up. Be purposeful – know why you do what you do. So, when your life, your ministry, or your personal faith walk, doesn’t seem to be like a walk in a park, and you are tired and weary, and you can no longer see what the point of it all is, don’t give in and don’t give up. Stand strong, be unwavering, be a fighter and no matter what happens, keep holding on, because at the end, there will be a reward. This good fight of faith can’t be accomplished on our own, which is why we have the Holy Spirit. To walk the road Jesus walked upon, we need Him to renew our strength. “But they who wait for the Lord shall renew their strength; they shall mount up with wings like eagles; they shall run and not be weary; they shall walk and not faint.” Isaiah 40:31 ESV.